California has about one year of water left & 10 things you can do today! A recent article by Jay Famiglietti of the LA Times has got the internet talking about Water, our source of life, our vitality, our blood. Unfortunately this is the problem. 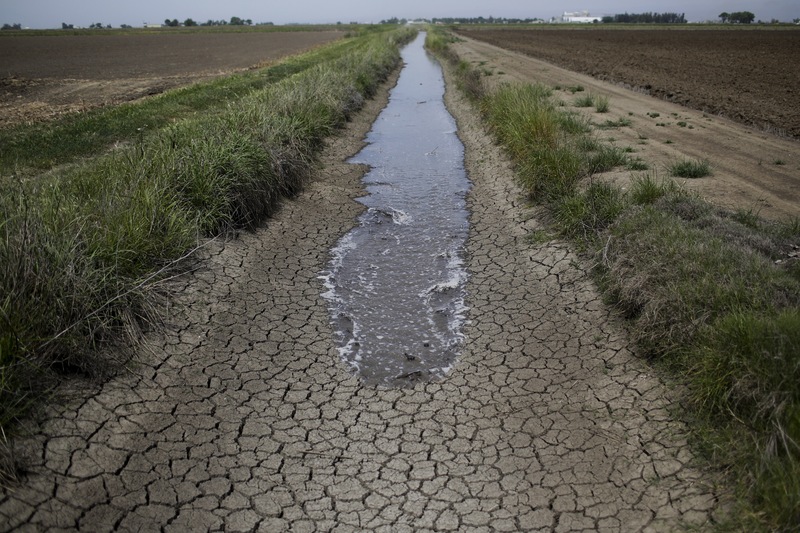 According to the Public Policy Institute of California, Agricultural use is 40% of California’s water use. Only 10% is urban use. The last 50% is “Environmental use, which is “water in rivers protected as “wild and scenic” under federal and state laws, water required for maintaining habitat within streams, water that supports wetlands within wildlife preserves, and water needed to maintain water quality for agricultural and urban use.” The issue here is that most of California’s agriculture, in my observations, is monoculture. I’ve seen miles and miles of rows of plants and trees that require a lot of water. It also wastes a lot of water. The situation is that if all of these huge monoculture farms were to condense their crops into a permaculture design, all of the wasted water between rows would be utilized and would produce more food. If only 10% of water use is focused in urban settings, that means that no matter how much water each person conserves, even if that 10% of urban water use was eliminated completely, if agricultural water use is not evaluated, the effect of personal water conservation is only going to carry so much weight. I think we can all agree that 2017 is too far off. This leads to our next point. This last action step is where permaculture and sustainability education and leadership can be applied. The theme I’ve seen in real action is not waiting on the government to change things. We each of us as inhabitants of the earth need to take matters into our own hands and begin making daily changes as well as spread these messages far and wide. Here’s what you can start doing TODAY! 1) Attend or organize a water catchment workshop in your area. 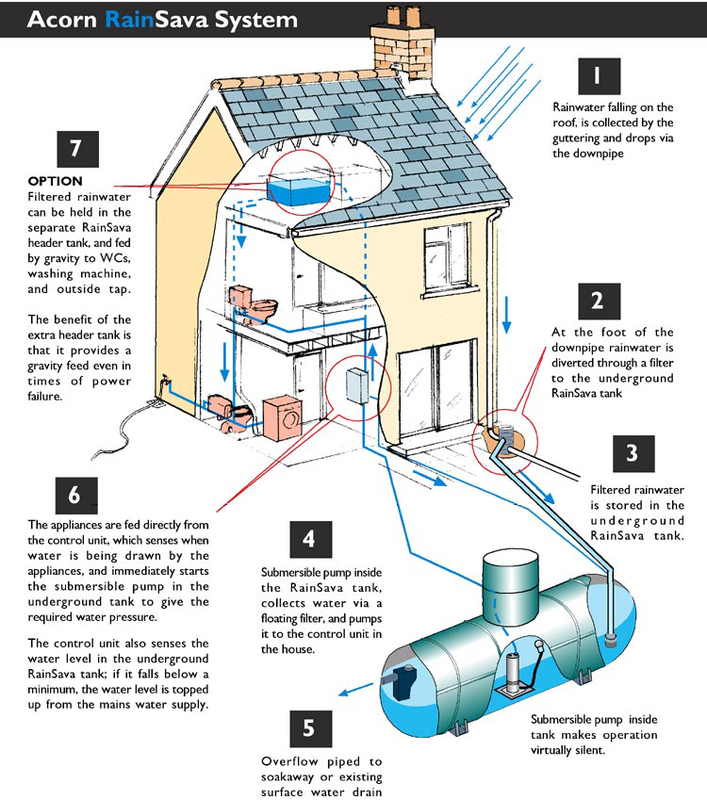 Between Rain Water Catchment systems, Greywater systems, and Compost Toilets, personal water use can be changed. 2) Write you local government, attend a city council meeting, and publish articles on the internet about this issue. Propose your solutions, because I know you have them. 3) In your toilet- if it’s yellow let it mellow, if it’s brown flush it down. Did you know that one flush wastes 1 gallon of clean water? 5) Instead of letting your grey water from washing dishes go down the sink, put a bucket in your sink (and in your shower) and pour the water in the ground, it’s better that it goes back into the ground to feed plants rather than in the sewer where it will be contaminated. 6) BUT, Use biodegradable products in the bath, when doing your laundry and when washing dishes, otherwise we’re putting chemicals our in the ground or in our drinking water. 7) Become a conscious carnivore. Did you know it takes 200 gallons of water to produce a single pound of beef? Being ‘conscious’ means eating meat that is ethically sourced and raised eating grass vs wheat and corn, antibiotic and GMO free AND refraining from eating meat multiple times a day. I try to eat meat 3-4 times a week and supplement my protein in other ways. 8) Share showers with your lovas and friends. Everyone loves a good back scrubbing partner and use chemical free body products like yummy soaps and shower gels from LUSH handmade cosmetics! 10) Let me know what you think! There are a lot of shades to this issue, and I’d like to know what type of actions are currently happening in your area. Are you facilitating a water solution workshop or talk in your area? We’d love to promote it! Can we initiate a community dialogue around this issue? The solutions that work are a product of commuity collaboration, and in times of disaster, communities come together more powerfully than ever. Let’s do this thing! email taylor@projectnuevomundo.org for further dialogue!